It is the season of toys! Parents are scouring store shelves for the most popular gadgets and games to wrap up for the holiday season. Today’s most prized playthings may take more batteries than those of the ancients, but our ancestors still knew how to have a good time. Consider the recent findings at a 1,900 year old Roman settlement in Germany. 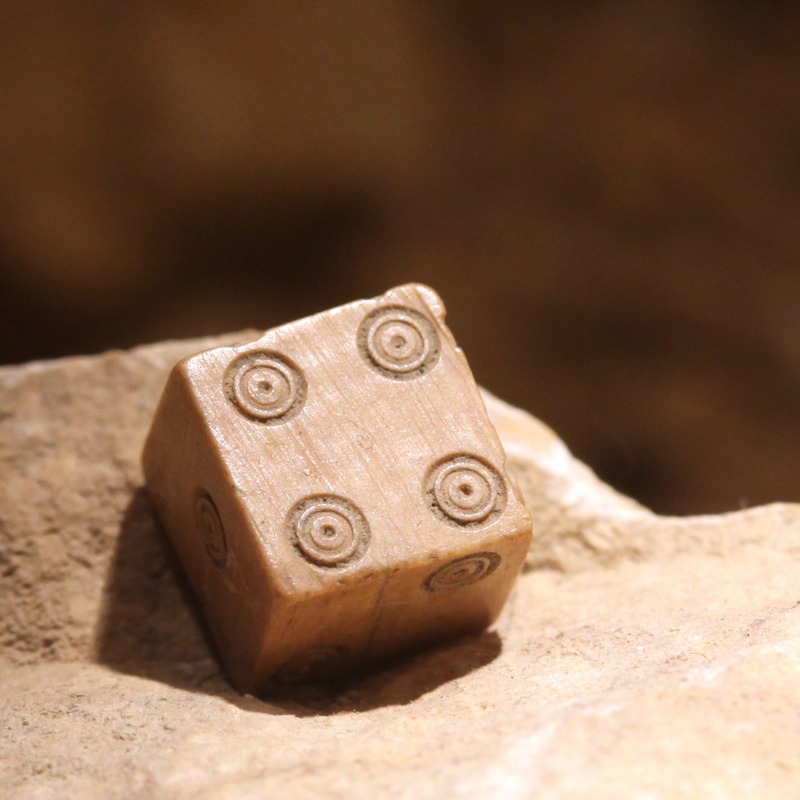 Archaeologists uncovered a board game piece and a die, proving the soldiers who lived there weren’t all work, no play. Read the complete article here. Further evidence of ancient playtime was discovered in a 2,300-year-old tomb near Qingzhou City in China. The heavily looted site still holds valuable treasures, including pieces from a mysterious board game. “Archaeologists found a 14-face die made of animal tooth, 21 rectangular game pieces with numbers painted on them and a broken tile which was once part of a game board.” They believe these pieces were used to play a game called “Bo” that hasn’t been played in 1,500 years. Click here to read more about this fascinating find. To learn more about how our ancient ancestors amused themselves, check out our Kids’ Blog, Ancient Toys, Wii and You!